Arduino is great, but it sometimes gets in the way due to its entry level style of doing things. One limitation is making your own library that also includes other libraries. [Scott] has sent in a great tutorial that deals with just that issue. He covers how to make your own custom libraries while building off of preexisting ones. That’s something Arduino’s automatic magic wont touch.He covers getting your library to compile while including aanother library, linking versus compiling, and getting it all linked up. Add in clear examples, lots of explanation and a hand full of good practices for C with libraries (like Forward Class Declaration vs Includes, and Using Brackets vs Quotation Marks for Includes), and this is one tutorial that any aspiring AVR or Arduino developer should check out. 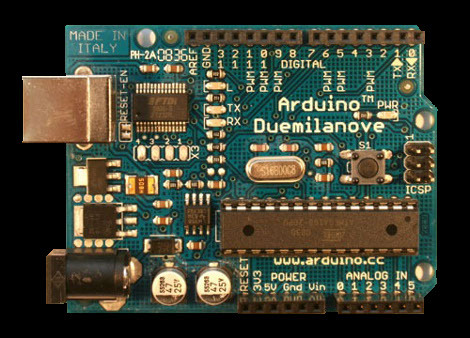 I like the Arduino but would like more being able to write applications for it in the old fashioned way: command line editor and compilers. Google is your friend. I did a google search and this was the second response. one little trap there: the makefile is rather old (arduino-005 instead of 022) and looks for files that don’t exist anymore. further down the page is a link to a new version. The difference between and “” is where the compiler looks for header files. The “” means local (in the sketch folder). The is for library files (not in the sketch directory). Some compilers are not rigorous in enforcing this distinction. It was written by PaulS, arduino forum member. looks like your characters > < got removed..
Erik S liked pcbtc (GaN edition). Dixon Selvan wrote a comment on IoT Magical Wand. BlueFlower liked LedCade - µ arcade game cabinet.